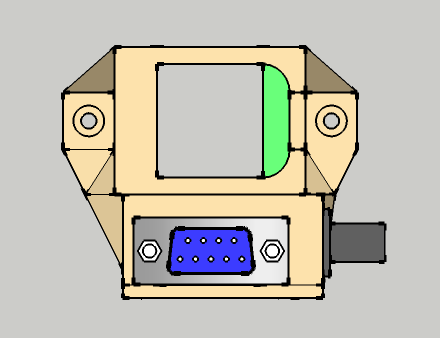 This is a far better version of this wireless serial port. Why bother? I use them for configuring Cisco equipment for work. If you have ever been standing on a chair, balancing your laptop, trying to program a managed switch, you’ll appreciate being able to sit comfortably at a desk close by, while doing it wirelessly. Just screw the console cable onto the RS-232 and turn it on. New: 2-3 Seconds boot time. New: Battery life lasts around 48hrs when continuously transmitting. If you double tap the charge button on the battery it turns on an excellent flash light. Good for finding your way around the back of network racks. Old: Stays on until dead battery. 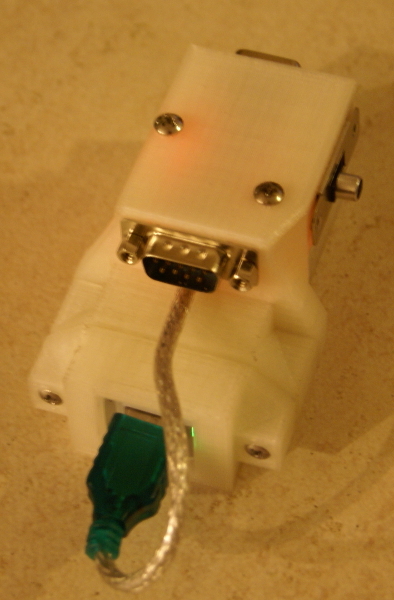 New: Smaller, and easier to manufacture – minor soldering required. This newer version was also made modular; If the Bluetooth module, or battery fail, you can easily replace it. 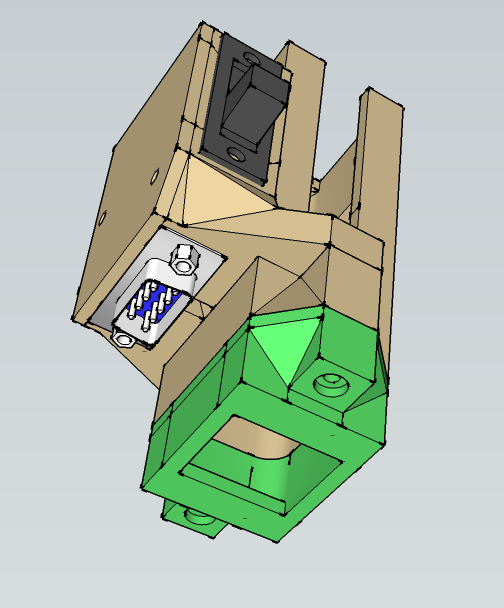 You can also design different modules to fit on the reverse side to the Bluetooth or replace it all together. 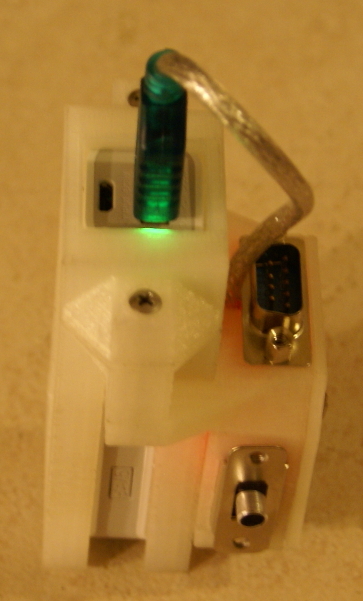 The model below is the second iteration where I added an on/off switch to the Bluetooth module. At the heart of the Bluetooth module is a JY-MCU soldered to a daughter board with 2 RS-232 connectors, 1 for programming the device, the other one is a pass through serial port. Do a search on eBay for “DB9 RS232 Wireless Bluetooth Module Slave” – Their about $15. 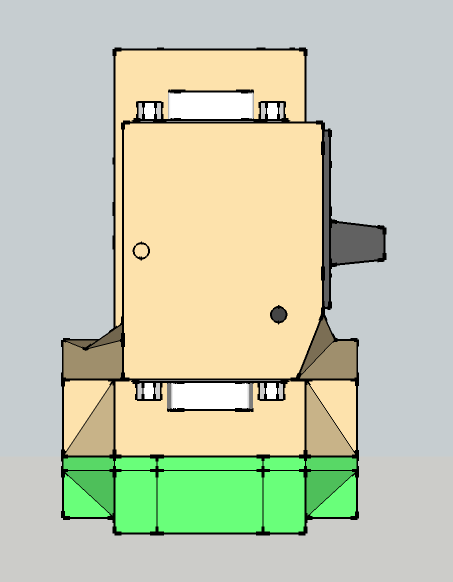 In the Sketchup screenshots below the battery has been left out. 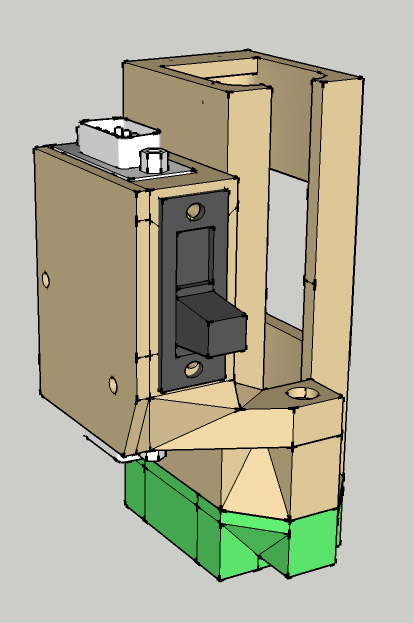 These are the STL files: serial 2 Bluetooth. The portable phone charger used is a Romoss 2000mAh, you can get them for about $15 on eBay. I printed it using natural PLA so the photos look pretty terrible. It’s also printed as 4 pieces: Battery case, battery cap, Bluetooth module, and Bluetooth module lid. You also need a male USB cable, slide switch, 2 screws (40-50mm M3) and nuts. This entry was posted in 3D Printer, General News, Hardware, Tech and tagged Bluetooth, Cisco, JY-MCU, RS232, Serial, wireless by Kristian. Bookmark the permalink.